f(x) made a comeback this month with the release of their music video for their title track, Electric Shock! For the music video, the girls are dressed in eye-catching fun, rave-esque and bold pieces. Leader Victoria, rocked the The NY Athletic Mesh Top from the Joyrich Spring/ Summer 2012 collection. The top is currently available on Karmaloop for just $50.00, for up to 20% off your purchase use repcode: Kstyle. Happy Shopping! On May 21st, 2012, MBC held the “Korean Music Wave in Google” in which groups like Super Junior, SNSD, Kara and f(x) attended. 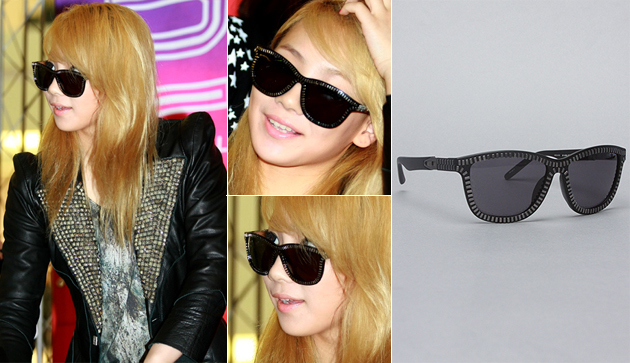 At the event, f(x), was seen wearing pieces from the 2012 Joyrich x Giza collection. Leader, Victoria, wore the popular Egyptian Dress which is currently on sale (50% off) at Karmaloop for just $70.95. For up to 20% off, be sure to use rep code Kstyle at the checkout! Sizes xs, s, m and l are all available for this piece! Happy Shopping! On February 23rd, 2012, Miss A made their fierce comeback on M! Countdown with performances of Touch and Over U. For their performance of Over U, the girls were styled in pieces from the upcoming Spring 2012 Joyrich x GIZA by Mademoiselle Yulia collaboration collection. Luckily for fans, Karmaloop currently carries the Egyptian Jersey Dress Jia wore for $62.00.I will be sure to make an update when the other pieces arrive! As always repcode Kstyle can save you up to 20% off your entire Karmaloop purchase. Happy Shopping! 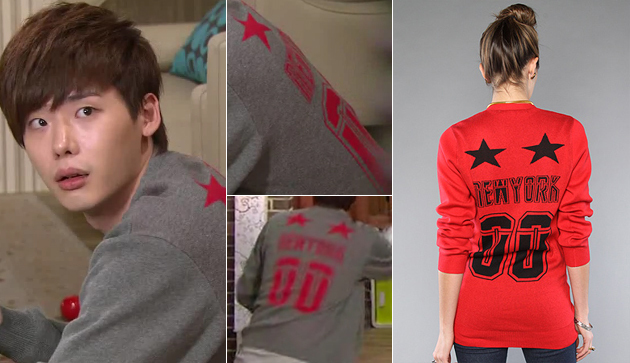 For episode 95 of High Kick 3, Ahn Jong Suk, played by Actor Lee Jong Suk, wore the New York Athletic Knit Cardigan from the much-anticipated Spring 2012 Joyrich collection. Fortunately, Karmaloop has the cardigan available in the red and black color way for $82.00! As always, enter repcode: Kstyle at the checkout to save up to 20% off your entire order. As a New Yorker, I am all for the cliché ‘I ♥ NY’ shirts, but this is a much cuter way to show off your love for The Big Apple. 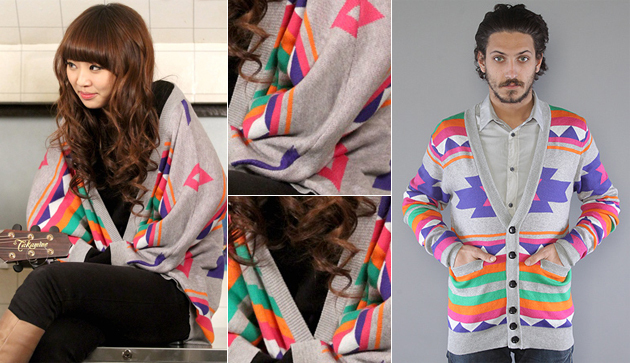 For episode 4 of Dream High 2, Nana, played by Sistar‘s Hyorin, wore the bright Navajo Cardigan in Gray Multi from Joyrich. Karmaloop currently has it available for $110.00 in sizes XL and XXL. Perfect sizes the same over sized look Hyorin wore for the episode! As always you can save up to 20% off your purchase with rep code Kstyle. Happy Shopping! Hurry, there are only 2 in stock left. Back in December, for the 2011 MBC Gayo Daejun, girl group, f(x), performed a special remix of their hit Gangsta Boy. 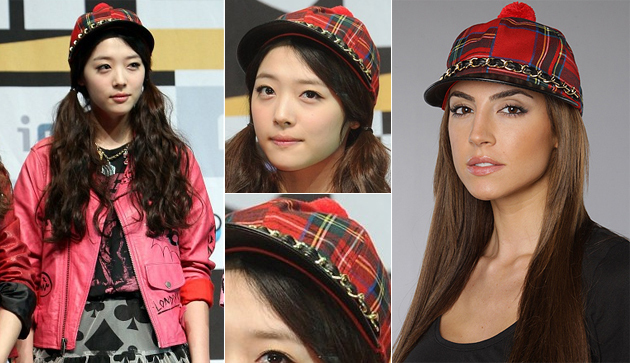 For the performance , member, Sulli, wore the Plaid Jockey Cap in Red from Joyrich. It is currently on sale at 50% off for just $24.95. As always repcode Kstyle can save you up to 20% off your entire purchase. Hurry, there are only 5 left in stock!